Dinner with people is always better than eating alone, especially when the food is good. Good food tastes even better when enjoyed with people. Tonight Amy came over to try my second attempt at the Brussels Sprouts Veggie Soup to which I have made some changes (see recipe below in previous post) for a better result, I believe. We were at the store earlier and saw some nice looking haricot verts and heirloom tomatoes, so we decide to assemble a simple salad from those. Of course while I’m at the market, I can’t not get some five peppercorn salami. 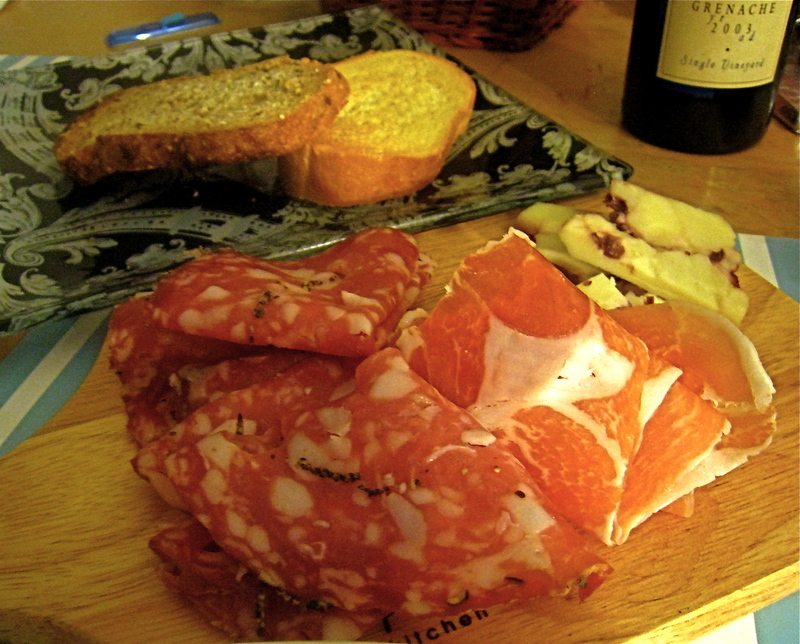 Our simple dinner of soup, salami, bread, cheese, salad, and wine was on the table in 15 minutes. Blanch haricots verts in 1 cup of salted, boiling water for 3 minutes. Remove promptly and rinse under cold water (or ice bath) to stop further cooking. Arrange sliced tomatoes on plate, and add in haricots verts. Add on shaved parmigiano-regianno over ingredients. Sprinkle red chili pepper flakes. 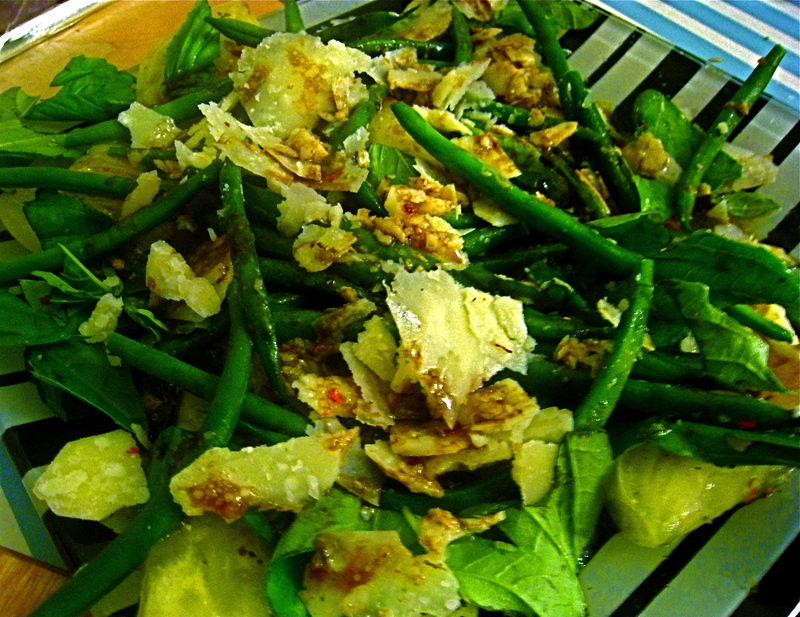 Drizzle vinegrette dressing (below). Salt and pepper to taste if needed.